Let the intoxicating scent embrace you with love. 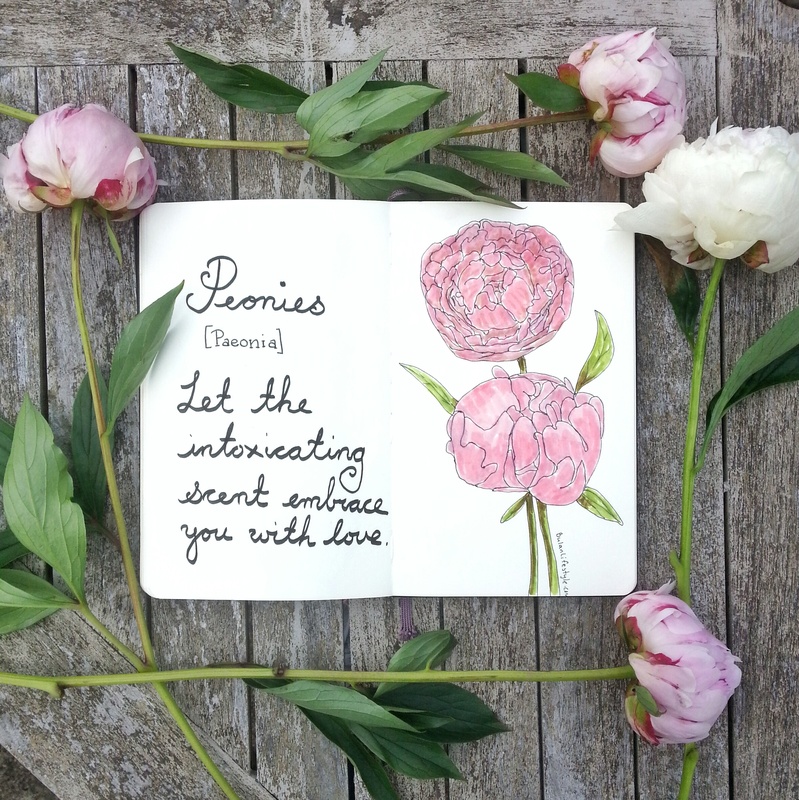 Sketch of the day in my moleskine art journal are pretty Peonies. It probably has to do with the time. Something like 1:33 in the pagi? Hmmm? We used to have some at the country house in Normandy. What was the name in French… Hmmm… Memory! Memory! Got it: “Pivoines”. How strange that it looks like “peonies”.